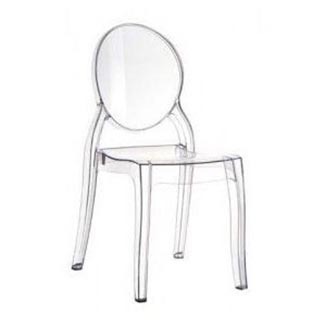 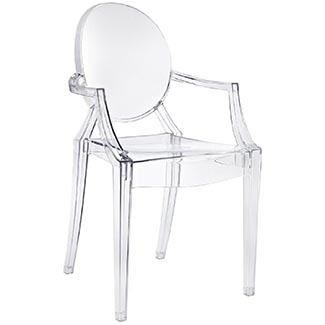 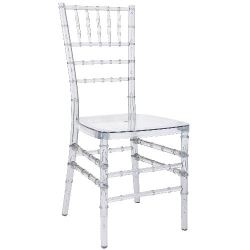 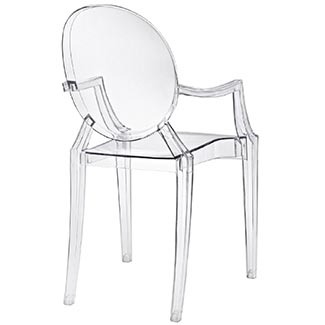 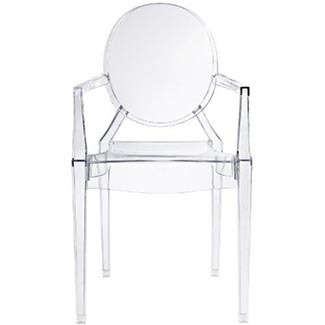 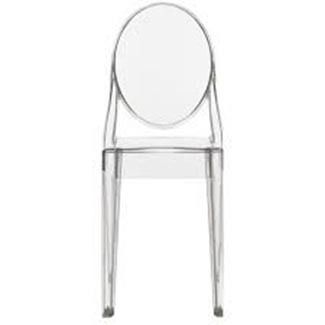 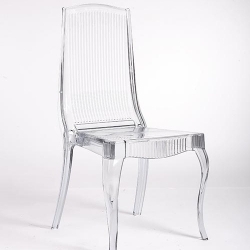 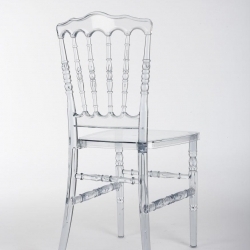 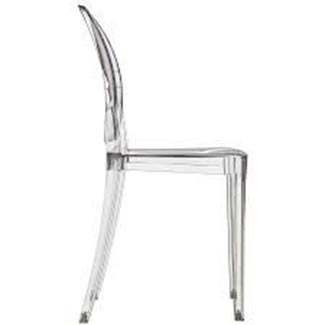 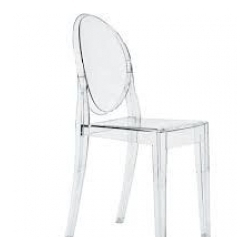 The Ghost clear chair with armrests looks beautiful at the head of a table with either of our two armless ghost chairs at the sides. 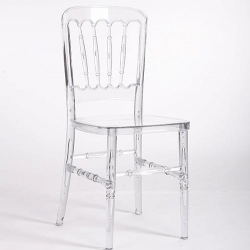 They also stand alone at a sweetheart table. 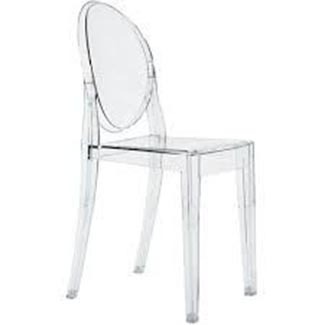 Length at widest seat: 16 1/2"